I’ve known Aaron Elliott (aka “AE”) now, for about 9 years. I remember meeting him for the first time at Billetproof, where he had a few lawn chairs set up next to his unfinished Honda CL360 custom. 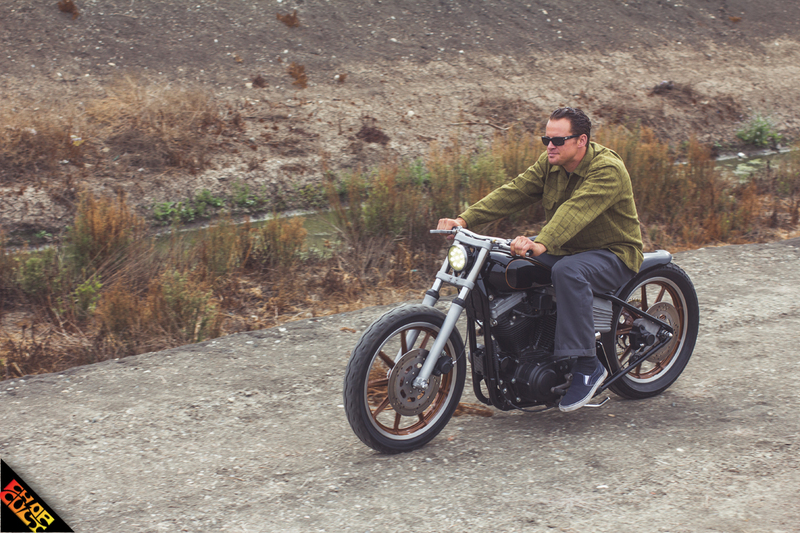 It was evident that Aaron had a style that was rooted from his time spent building hot rods and motorcycles beside hot rod legend, Cole Foster of Salinas Boys Customs. Over the years, he’s made a name for himself with some of his bike builds that stick to the Salinas Boys formula. Timeless style and clean lines; a concept that seems to be lost in builds today. 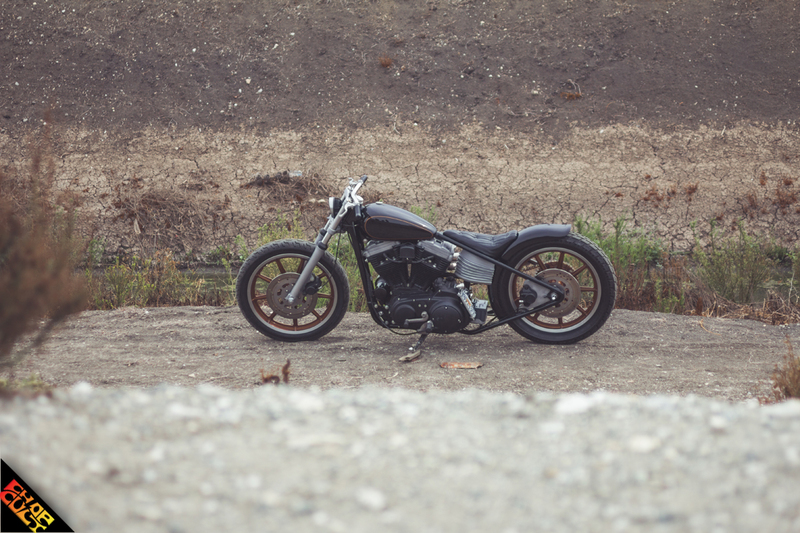 Sportsters seem to be the go to startup bike for young builders wanting to emulate the 60’s style chopper. Aaron’s bike stands alone and is a nod to craftsmanship. He gets just as much enjoyment out of building bikes as he does riding them. I’ve seen him spend weeks on a small part you’re never going to see, only to have it end up in his scrap bin because it wasn’t to his liking. Craftsmanship will never go out of style, so there’s no point in being in a hurry. 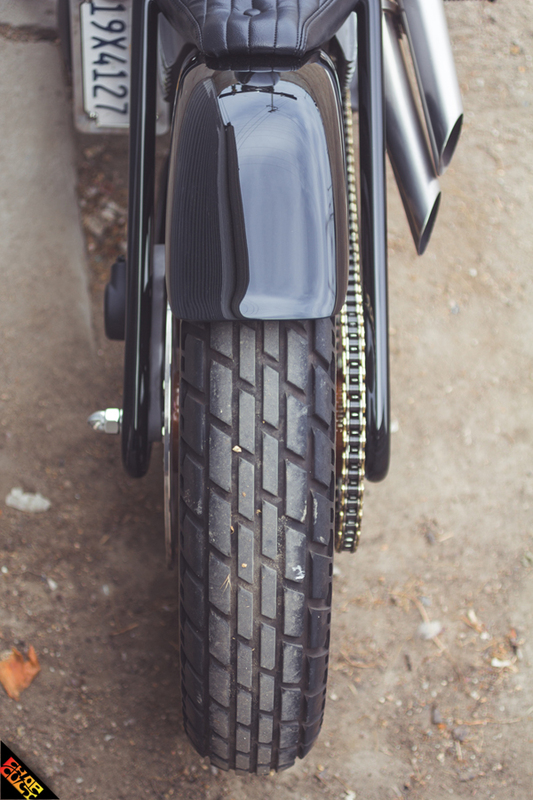 This bike is no different than his previous builds in its attention to detail. 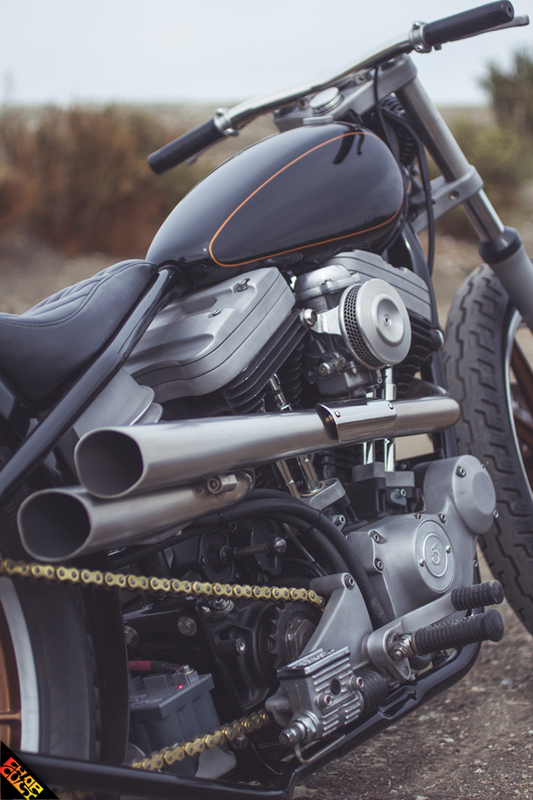 At first glance, this bike might just look like a stripped down Sportster with lowered forks, but it’s far more than that. 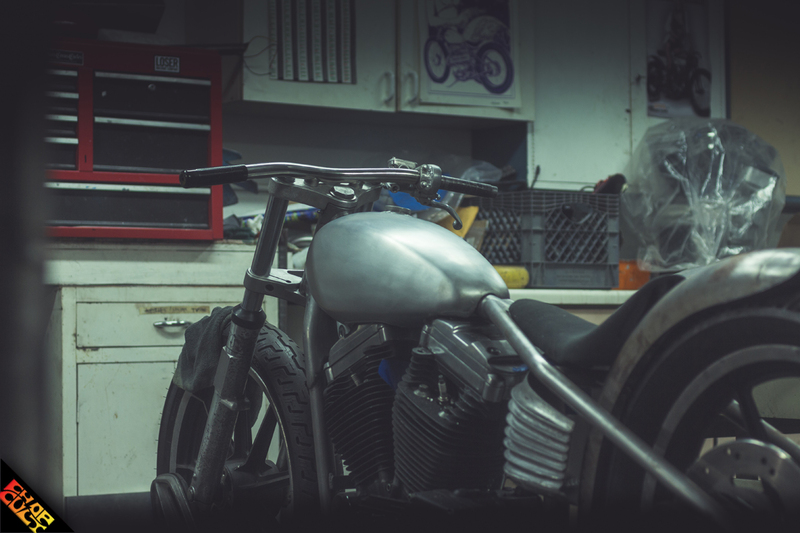 I’m glad I was able to snap some photos of the unfinished bike. You can see the gas tank the way any craftsman wants you to see their work; raw and unpainted. 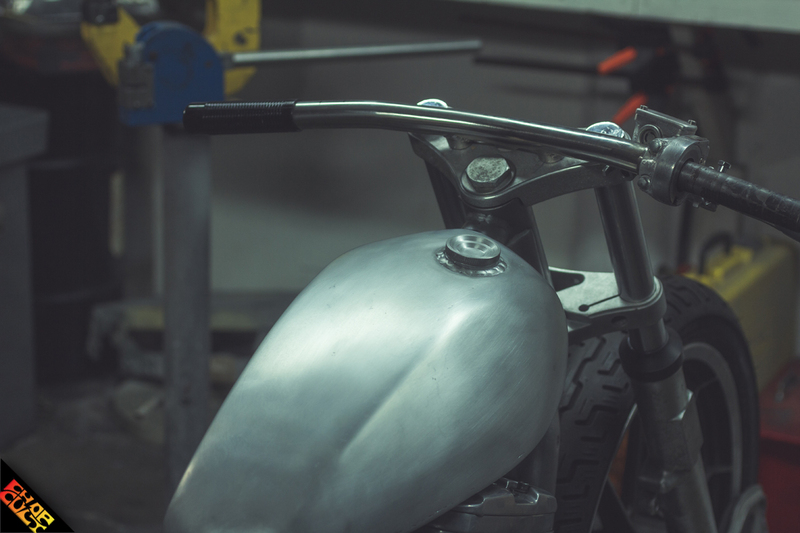 Aaron spent countless hours shaping flat pieces of aluminum and welding them together to make the tank you see now – it is a piece of art on its own. Aaron’s oil tank was handmade as well. First, he cast two identical pieces to be the outer shell for the oil tank. After the sides were done, he closed up the rest but made the right side detachable, so he could hide all the electronics inside. It took him about 5 months to make this. The cast oil tank from the Salinas Boys’ Special K bike is what inspired him. He gave his stainless bars a subtle bend to coincide with the rest of the bike. 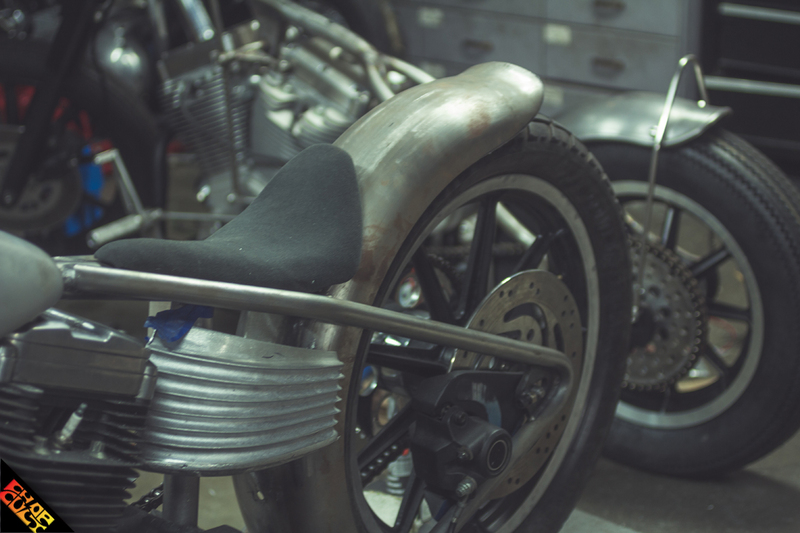 The stainless exhaust tucks in nicely down the right side of the bike. Aaron put the final touches on the exhaust by making a small heat shield and polishing it to stand out over the brushed exhaust. Wanting to paint the bike black, he knew he had to do something to the stock wheels, so he painted them. Using the same color as the wheels, he added a nice pinstripe panel to the gas tank. 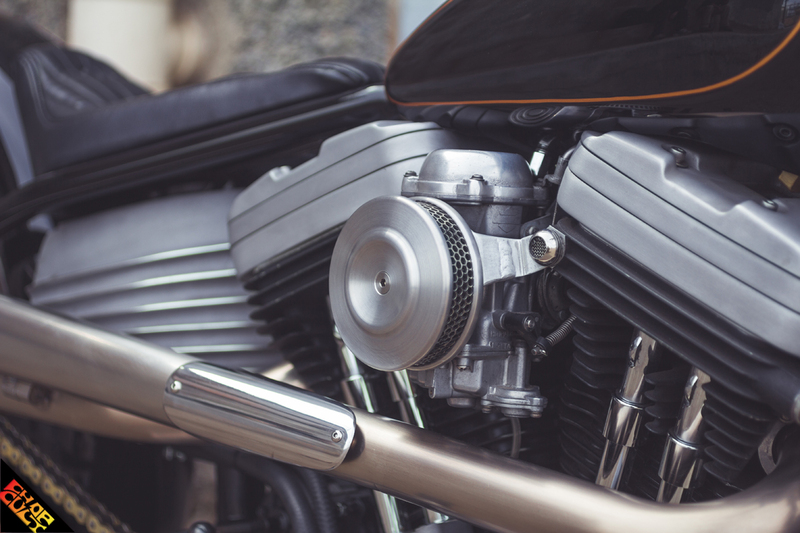 This bike is the epitome of the saying, “Less is more.” As the fads and trends come and go, motorcycles like this will stand the test of time, because craftsmanship will never go out of style. *I would like to welcome Andrew Quinones to the ChopCult contributor team. Andrew has been a personal friend for many years and I'm looking forward to working with him. Kindly give him a follow on Instagram. Wow...So perfectly balanced! Everything works here. I'm really digging that gas tank. Love it! It has Great lines and perfect flow. Inspiring to a guy who paints, but also wants to fab!